Nominated by engineering colleagues and fellow ASABE members, the 2019 class was formally announced this week, at the 2019 Agricultural Equipment Technology Conference, in Louisville. Through their professional and extracurricular pursuits, New Faces of ASABE, all 35 years of age or younger, represent the best of a profession that endeavors throughout the world to improve quality of life and make sustainable use of precious natural resources. A separate category, College Edition, honors undergraduate students. This year, two members of the 2019 class are from NC State’s Department of Biological and Agricultural Engineering. 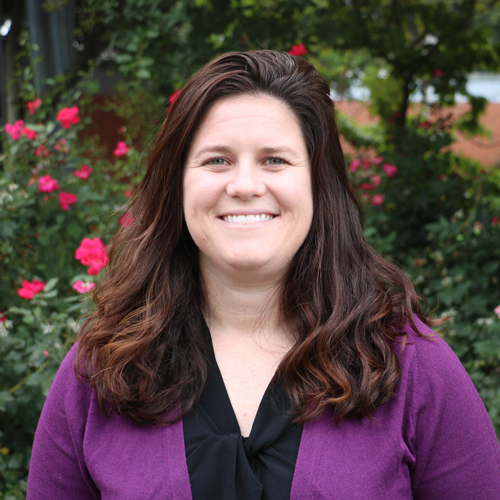 Laura Merriman, PE, PhD, assistant professor at North Carolina State University, who takes pride in her mission to train the next generation of agricultural and biological engineers. Dr. Merriman, P.E. received her Ph.D. and M.BAE in Biological and Agricultural Engineering from North Carolina State University with the support of a National Science Foundation Graduate Research Fellowship. She completed her undergraduate studies in Biosystems and Agricultural Engineering at Oklahoma State University. Before joining the Department of Biological and Agricultural Engineering in August 2018, Dr. Merriman spent 2.5 years playing in the rain as a water resources engineer with a consulting firm in San Diego, California. During this time, she was involved with a variety of projects, such as investigating pollutant sources and pathways in watersheds, identifying data gaps, and recommending monitoring and engineering desktop analyses needed to perform modeling tasks; implementing low impact development and green infrastructure strategies; designing retrofits for existing stormwater drainage systems; and providing maintenance and/or rehabilitation recommendations to clients. Dr. Merriman is a registered Professional Engineer in North Carolina. Her hope, she says, is not only to impart technical theories, critical thinking, and a strong work ethic, but also to produce alumni that contribute to and become leaders in society. Justin Traenkle has enjoyed two internships with John Deere while a student at North Carolina State University. President of the ASABE Student Chapter, Justin will graduate in May of this year. Traenkle is the president of the ASABE Southeastern Region and is working hard in planning and orchestrating the 2019 Regional Student Rally in Raleigh along with his fellow ASABE officers. Traenkle is a Park Scholar at North Carolina State University pursuing a dual degree in Engineering and Global Development, with a focus on agriculture. At NC State he works as an Engineering Ambassador giving tours, presentations, and guidance to potential and incoming engineering students.